10. 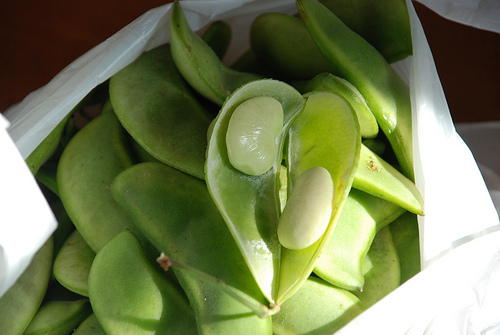 Lima Beans Also known as butter beans, lima beans contain a compound known as linamarin, which essentially becomes cyanide after an enzymatic process - but don't worry! Before they are made available for general consumption, the canned version of these legumes are processed to remove the toxin. Buy 'em dried? Make sure they are fully cooked (at least 10 minutes!) and should never be served raw. Photo by CIAT on Flickr. 9. 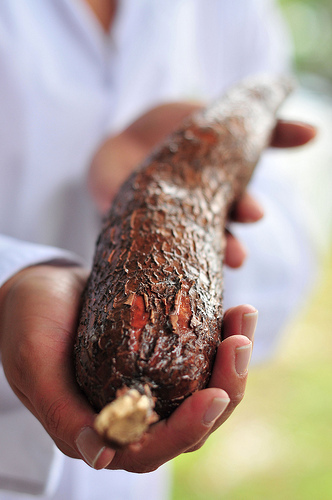 Cassava/Manioc Root A South American native (also known as Yuca), cassava root is a starchy tuber and the third most-consumed food in the world. While both the sweet and bitter varieties contain cyanide, the latter contains higher levels which makes it naturally pest-repellent and thus, the preferred crop. Soaking the root in water can help kick start an enzymatic process that will liberate the cyanide, but the subsequent liquid becomes toxic as a result. Unprocessed, a pound of bitter yuca can kill a cow - and certainly a person. 7. Kidney Beans Like other legumes (remember those lima beans?) 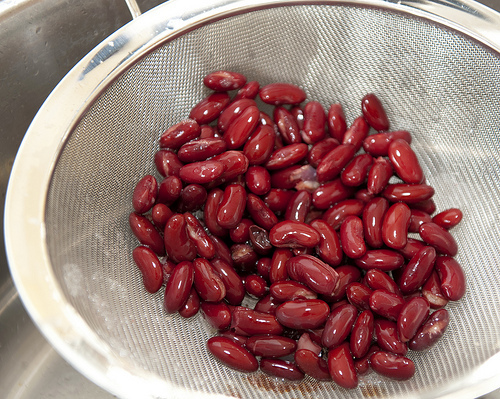 kidney beans also contain a potentially lethal toxin - phytohaemagglutinin. Ingesting only a few beans can land you in the hospital and a whole handful will send you straight to the morgue. The toxin is easily neutralized when the bean is boiled for at least 10 minutes - but the toxin can become up to 5x more toxic at 175 F (just off boiling) than if eaten raw. Translation: if you throw raw kidney beans into the slow cooker for some chili, you may want to cancel dinner... Want to avoid the problem? Use canned beans, which are pre-treated and safe to eat. Photo by mynameisharsha on Flickr. 6. 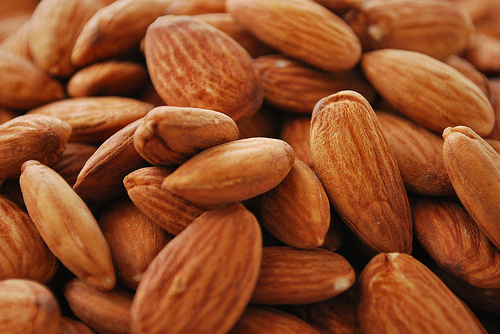 Almonds Another natural source of cyanide! This time, all of the ingredients are present but not activated until the seed (the almond we know and love) is injured - i.e. crushed by teeth. But again, nothing to worry about - domesticated almonds do not contain this natural defense mechanics. 5. 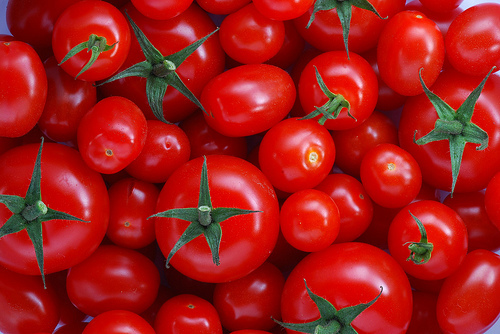 Tomatoes While tomatoes (the fruit) are non-toxic, atropine is present in the stems and leaves. While only one death seems to have been attributed to atropine poisoning, ingestion can cause dizziness, headaches and indigestion. Advice? Avoid tomato-leaf tea. 4. 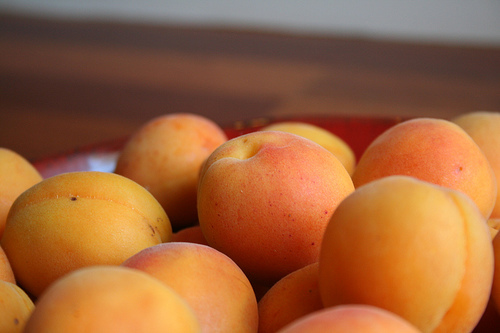 Stone Fruits: Cherries, Apricots, Peaches & Plums The pits (or stones) of these stone fruits also contain cyanide. 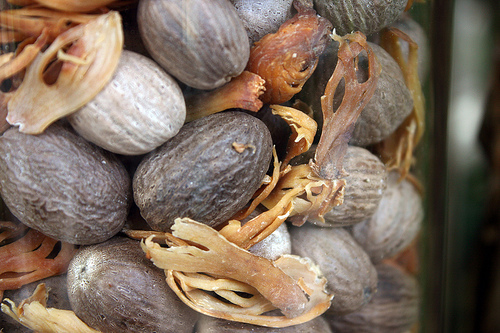 Swallowing a whole pit or two won't do a lot of damage, but much like almonds, the toxin becomes exposed when the seed is crushed or damaged - or chewed upon, making children and pets particularly vulnerable. 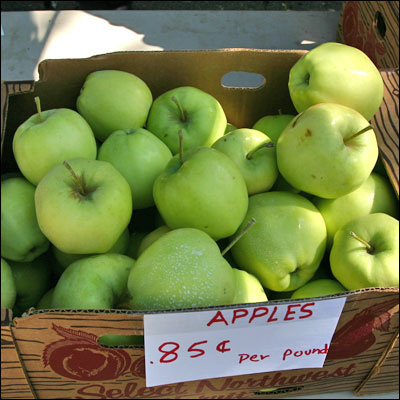 Every year, a handful of deaths (in children and adults) are attributed to an over-indulgence in fruit pits - yikes! 3. 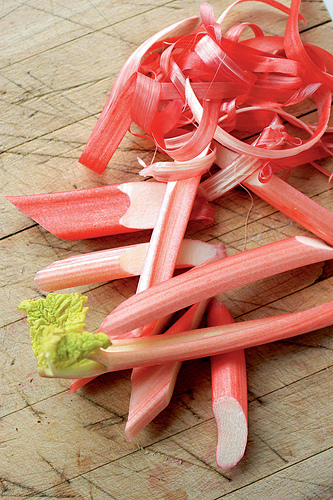 Rhubarb Have no fear - your grandmother's strawberry rhubarb pie is still safe! The red stalks are perfectly fine, it's the dark leafy greens that are not so innocent. While the compound (oxalic acid) won't kill you, it can cause dizziness and kidney failure, coma and seizures. To be fair, you will have to eat more than the occasional leaf to have results like these - but think twice (or about a dozen times) before using the delicious-looking greens in a soup or salad. 2. Potatoes Ordinarily, this staple crop is harmless. However, potatoes and other members of the Nightshade family naturally contain solanine. 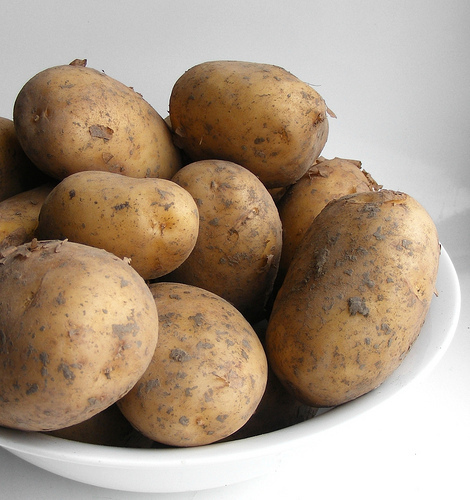 Solanine has natural fungicidal and pesticidal properties (an obvious natural defense) and, in potatoes, develops when exposed to light - another reason to store your spuds in a cool, dark place. Once they begin sprouting or green patches appear, you may want to think twice before eating. Even after cooking, solanine is fairly potent and can cause nausea, indigestion, diarrhea, and vomiting, as well as cardiac problems and dizziness. Hallucinations, paralysis, fever, hypothermia and death have also been reported as symptoms of more severe cases. I get a slight dizzy feeling when eating fresh fruits, specifically strawberries. Could this be why? I have often wondered why this happens. Gives new meaning to Van Gogh's "The Potato Eaters." But let us not forget that the greatest toxins are not in the foods themselves as much as the chemicals that are sprayed on the foods. While trace amounts may not hurt, a diet rich in chemical toxins accumulates over time and can be far more health threatening than too many fruit pits! Great information. And a good reminder about pesticides. Well done. Very interesting post! Glad to know that some of my favorite foods are not poisonous if cooked!